OUR STORY: “The bombing was very heavy in our area, which left us with no option other than leaving our home. 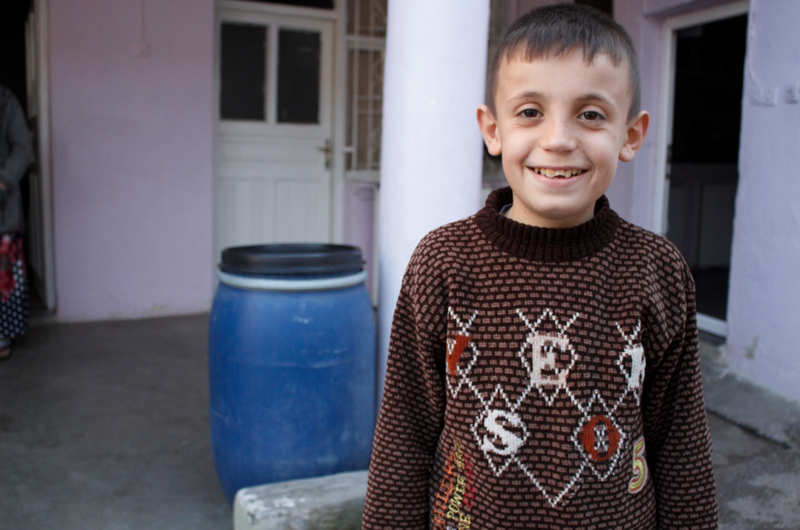 Turkey was the most convenient place for us to move to and that’s what we did.” – Wael. UPDATE - JANUARY 2017: “Both of us really well in school, and share the same passions, although I am much better at soccer than Hasan! We started to study more Turkish language in our second semester, and by now I’ve started to master Geography. Hasan really likes math and is doing well in it.” – Wa’el. UPDATE - OCTOBER 2017: “I love sports! In the summer I went swimming and played football. I also studies a bit. I am now in third grade and my favorite part is when we get to play sports in school. I look up to my elder brother because he’s always getting good grades and studies hard. Becoming a dentist is my dream.” – Hassan. UPDATE - DECEMBER 2017: “I have made a lot of friends at school, and I have been getting good grades especially in my maths test. I am always excited to be going to school because I get to see my friends and play with them and also learn about new things everyday. My Turkish is very good and I have no trouble understanding my lessons. Wael likes his Arabic teacher the most, and after school he goes to Karam House to finish working on his project which is about creating a mobile carrier that can be used by a disabled person or by someone that has constant work on his phone.” – Hassan. UPDATE - APRIL 2018: “Things are going very well, although I am facing a bit of trouble in physics and chemistry. My schoolmates and I have a bit of difficulty understanding the material so we meet with the teacher after class so he can explain more. I love math, it's my favorite subject! I’ll become my happiest when i achieve all my goals which is reaching the highest level of education. I always try to complete any task perfectly. My favorite dish is Mlukhiye, it’s so good! I’ve had the same group of friends for the past two years. We all go attend school together. I always wish the best for them.” - Wael. By contributing $50 a month, you'll join other donors to ensure we have access to quality education and a safe home. Karam will send you periodic updates on your sponsored family in the months of January, May, and September. We will do our best to match donors to their chosen family, but reserve the right to allocate funds to families in most need. If you have not received an email update, please email sponsorfamily@karamfoundation.org.